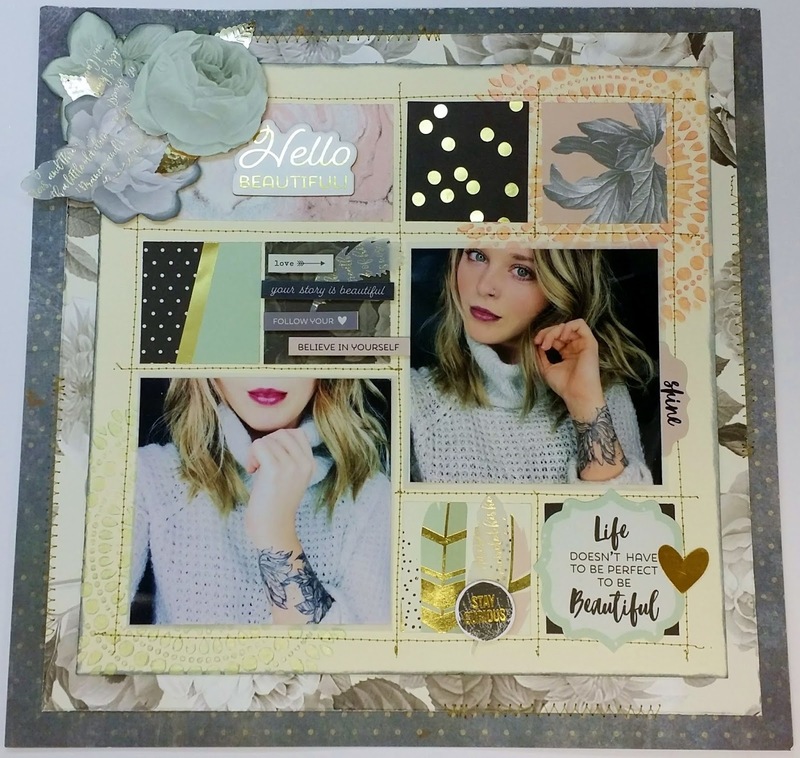 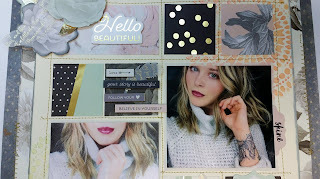 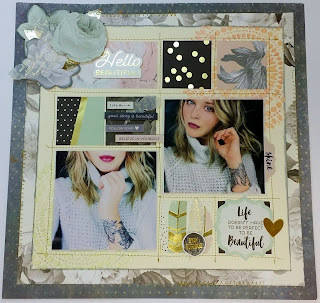 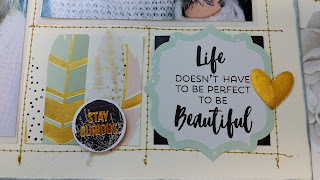 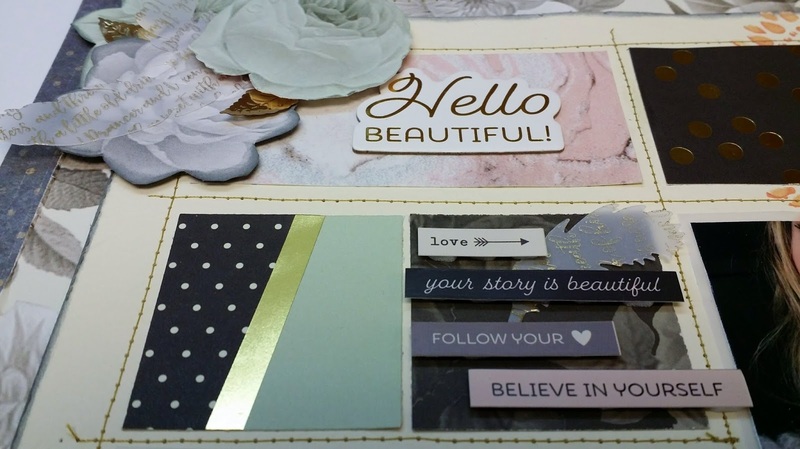 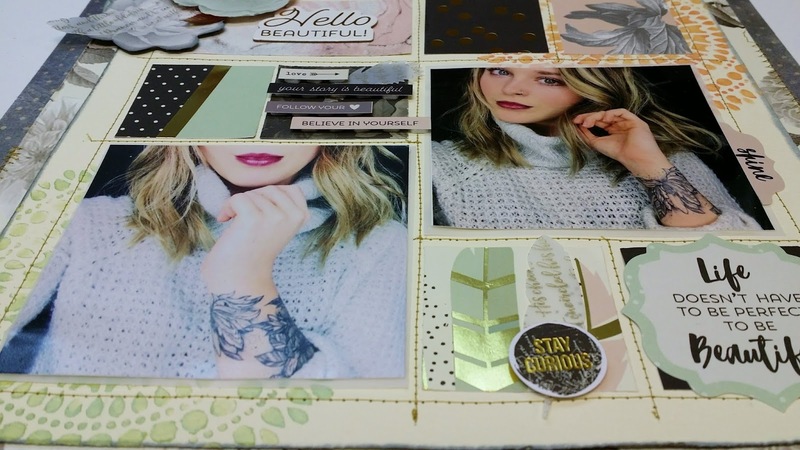 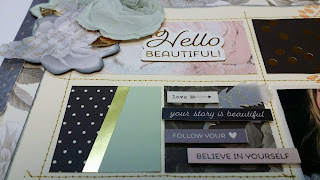 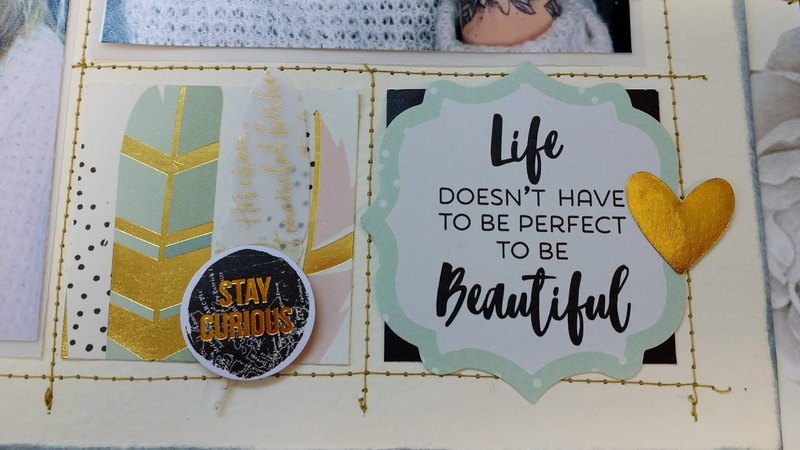 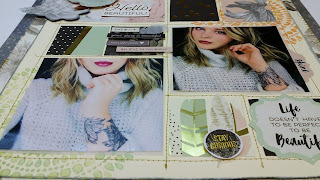 This layout features the paper line from Simple Stories called "Hello Beautiful" and I felt it match our beautiful daughter very well with the colour pallet of soft pinks, greys, mint green and gold accents. 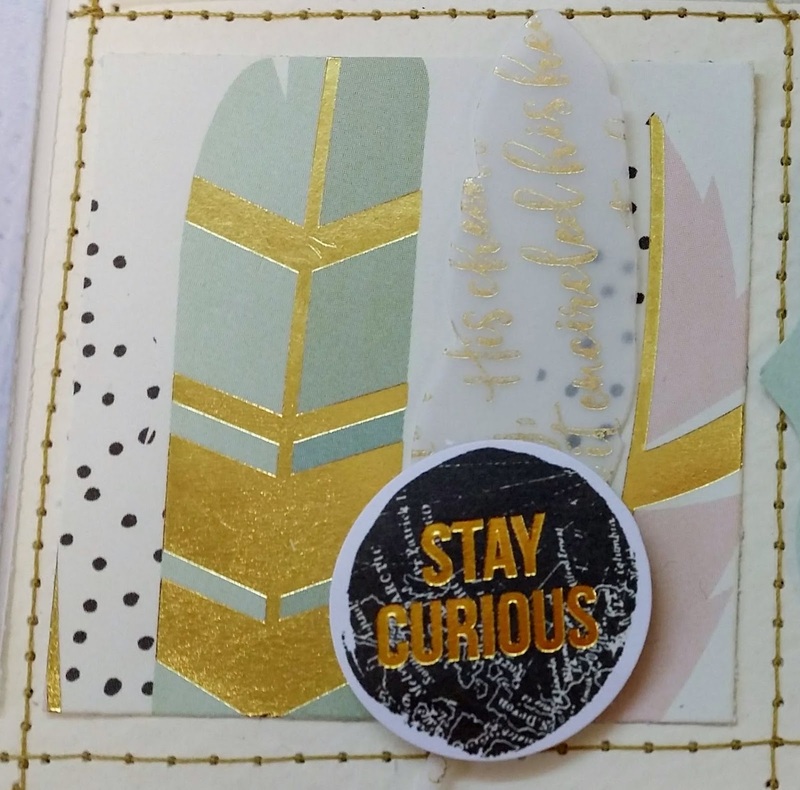 Lots of sewing with gold thread, fussy cutting around the flowers and popping them up, added some feathers for that romantic feel. Simple Stories paper line, Hello Beautiful; Bo Bunny Double Dot Vintage card stock, Shadow; Magenta doily stencil and paste; Spell Binder Feather die; Nuvo drops, Coral Galypso and Spring Green.